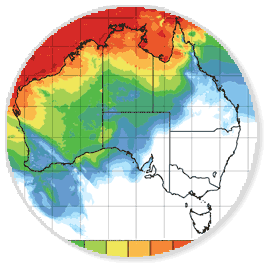 The Major Town Forecasts provide a seven day forecast for selected locations across Australia. You do not have to be a registered user to access these forecasts. However if you would like a specific forecast for your feedlot, click here to Register.